Tony Stark (Robert Downey Jr) is still haunted by the events of New York which concluded The Avengers. Knowing what forces exist in the universe he is acutely aware of the limitations of the Avengers. They can only protect the world from so much. 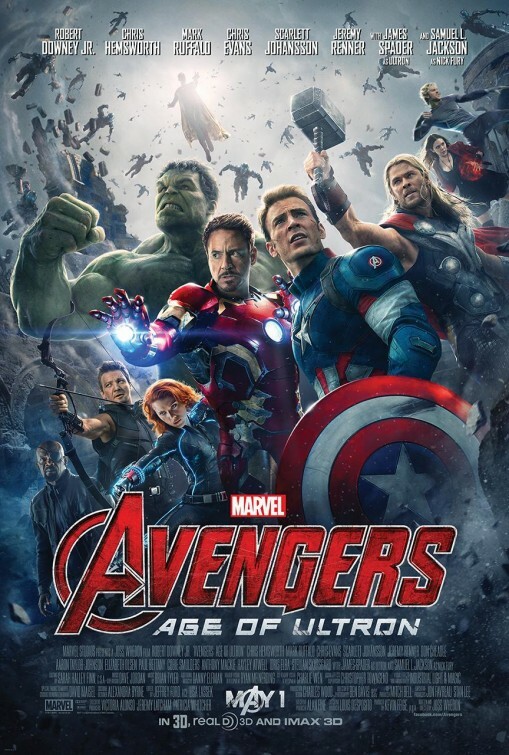 With the help of Bruce Banner (Mark Ruffalo) he has been secretly working at a plan he calls Ultron, which he imagines as “a suit of armour around the world.” After the Avengers reclaim Loki’s sceptre from a Hydra bunker, Stark and Banner try and harness its artificial intelligence and plant it in Ultron. But the road to hell is paved with good intentions, so sure enough this plan backfires. Designed to keep the peace, the sentient Ultron (James Spader) sees allowing the Earth to evolve through the elimination of the human race as key to achieving that peace. So we are left with this peculiar situation where rather than there being some external evil or force, the Avengers are required to save the world from a situation which is entirely of their own creating. There is a long history of science fiction exploring the perils of playing god, but with Age of Ultron, Joss Whedon is going for a slightly different metaphor: Tony Stark as the Geppetto to Ultron’s Pinocchio. Stark has created numerous Iron Man suits for himself and the Iron Legion robots, but now he sees the opportunity to give his creations intelligence, sentience. Rather than another robot he wants to make ‘a real boy.’ This metaphor is enhanced by having Ultron recite lyrics from the song “I Got No Strings” from the 1940 Disney version of Pinocchio – which is also an interesting example of intellectual property crossover made possible by the Disney Corporation owning Marvel. Age of Ultron continues to do what these Marvel movies do well, providing numerous large scale action sequences, including a different take on the increasingly common trope where our heroes have to stop a large thing that is in the sky from crashing into the ground. While Downey, Chris Evans and Chris Hemsworth comfortably step back into their characters, it is the characters that don’t have their own films who really come to the fore. Mark Ruffalo’s Bruce Banner was the trump card in The Avengers and he is again significant here, with a budding relationship between he and Natasha Romanoff (Scarlett Johansson), who connect over a mutual sense of brokenness. The major winner in this sequel, however, is Jeremy Renner’s Hawkeye, who really rises in prominence. The film acknowledges how seemingly out of place this mortal with a bow and arrow is in this collection of superheroes, but in developing his character shows us why he is so important to this group. Despite this character development, Age of Ultron marks the first time that one of these Marvel films really feels like it is starting to strain under the weight of this extended universe. In addition to our six central Avengers (Iron Man, Captain America, Thor, the Black Widow, the Hulk and Hawkeye), we have returning supporting characters (Nick Fury and Agent Maria Hill), and four significant new characters (new superheroes the Scarlett Witch, Quicksilver and Vision, and, of course, Ultron himself). That is already a lot of characters to balance time between, but then we have walk on cameos from supporting characters from the Iron Man, Captain America and Thor series as well, not to mention an awkward conversation between Tony Stark and Thor about their respective significant others, Pepper Potts and Jane Foster, which only makes those characters’ absence from this film more conspicuous. Where The Avengers felt like the culmination of Phase One of the Marvel Cinematic Universe, bringing together the storylines of the individual characters’ films, Age of Ultron does not give the same satisfaction. Rather than a culmination, Age of Ultron feels like a transitionary film, a stepping stone designed to take us from Phase Two to Phase Three of Marvel’s plan, or more specifically to follow on from Captain America: The Winter Soldier and pave the way for the upcoming Captain America: Civil War (due in 2016) and Avengers: Infinity Wars (a two-parter slated for 2018 and 2019). As an individual film Age of Ultron doesn’t reach the high mark set recently by Captain America: The Winter Soldier and, in particular, Guardians of the Galaxy. However, as part of Marvel Studios process, how it rates as an individual film is only of secondary importance. It is the Marvel Cinematic Universe meta-narrative that matters, and the way Age of Ultron progresses this greater narrative, developing and introducing characters and positioning them for what comes next, will undoubtedly keep the fans happy. Have you seen Avengers: Age of Ultron? Leave a comment and let us know what you thought.